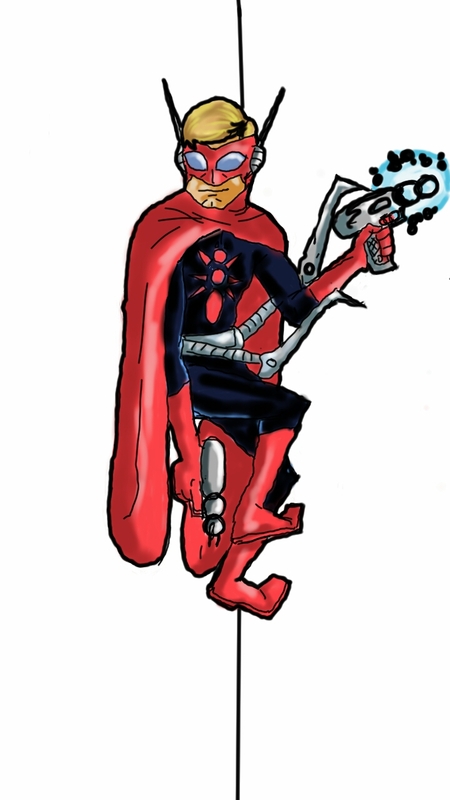 Here’s my drawing for the Draw Me A Marvel art jam on the Comic Book Resources Forums, where participants are tasked to reimagine Marvel characters as one of the four horsemen of the Mutant Apocalypse. I got Drax the Destroyer as cosmic character that’s people might know from the Guardians of the Galaxy movie from a few years back. Getting back inn the setting of things. Here we have a nice picture of Thug-o-Nomics. So, I was listening to the Nerdpocalypse Podcast and they were discussing somethings about the New Fantastic Four movie starring Michael B. Jordan and Kate Mara. Michael will be portraying the Johnny Storm, Human Torch, brother of Sue Storm, the Invisible Girl/Woman. They got into how the cosmic rays give them their powers and how they manifest in different ways based on personality traits. Sue Storm was adopted by a black family and maybe that’s why she feels withdrawn and shy. 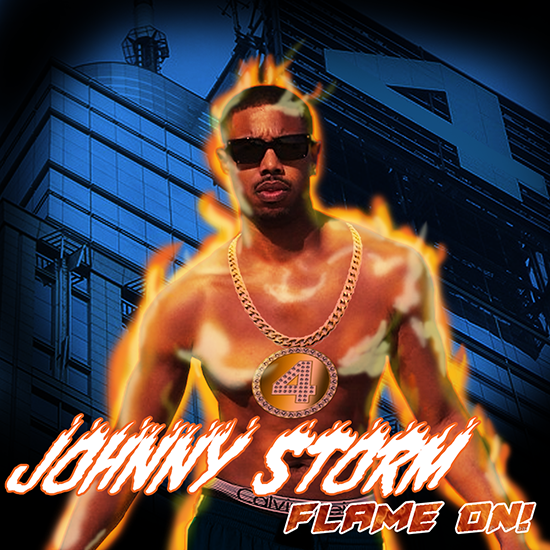 Micah a co-host of the podcast jokingly suggests that since Johnny Storm is being played by an African-American, it would be funny if his heat powers manifest because he is a rapper who spits “hot fire.” So I made this, because it amused me. Johnny Storm – Flame On! 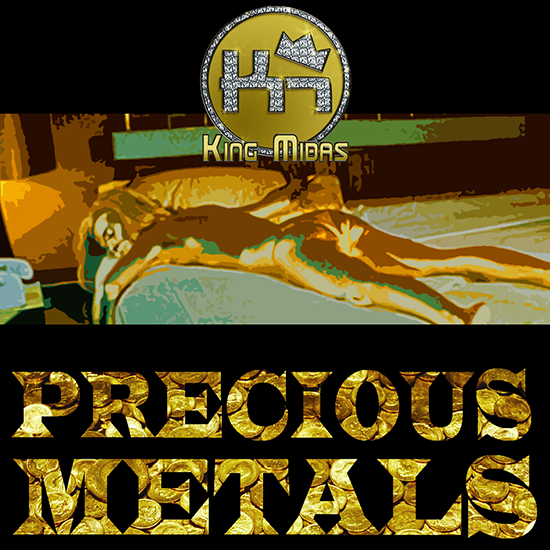 Another single from King Midas from the Stunning Beeboy. Some mornings silly ideas pop in my head. A few days ago, a short story I wrote at a writers workshop/meetup group popped into my head as my eyes opened. 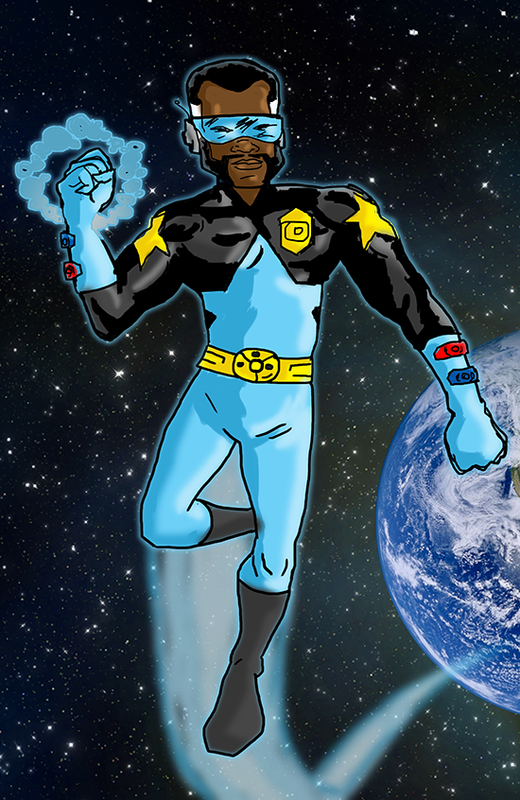 It was a basic pastiche of the Green Lantern or Nova Corps type organization of Space Cops. I can’t find the story anymore I just have the idea in my head from when I originally wrote it. He’s a cop, in space, around our solar system, where not too much actually happens. But when it does, this space cop is overwhelmed, because he’s just some dude that got this crazy obligation of monitoring this sector of space. The thing is, he’s basically me, as a space cop. His name is Sharif Baxter. In his thirties, drifting in life until this calling finds him and he comically has to adjust to new circumstances and situations. 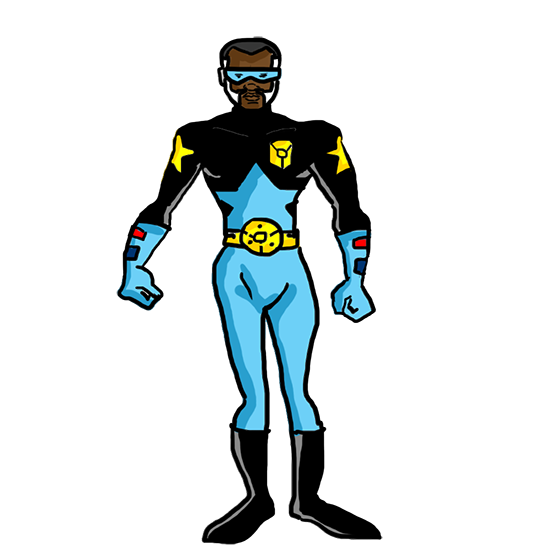 Here he is, kind of in a more cartoony Bruce Timm style. And here’s a ,ore serious take. I don’t know what to do with him really. 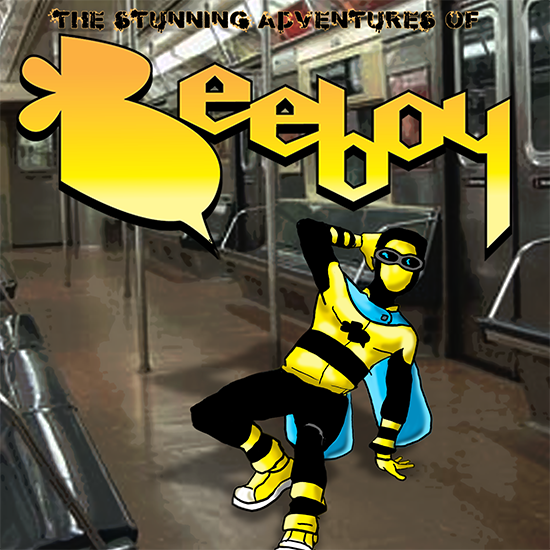 I’m thinking a simple web strip or simple animation series. Other ideas popped up for side characters and expanding the corps. 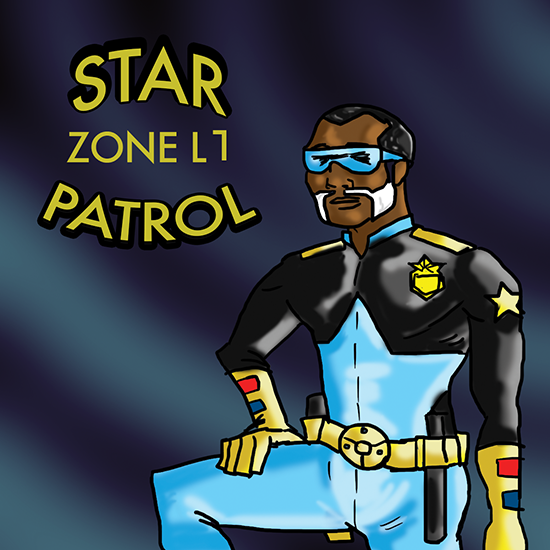 But for now, a lone space cop in crazy situations will likely be where I go with it.